Florence brought heavy, life-threatening floods to many parts of the Carolinas, leaving thousands without power. As of 9:30 a.m., Monday, the statewide power outage total was 4,534. VIEW THE OUTAGE MAP BELOW. 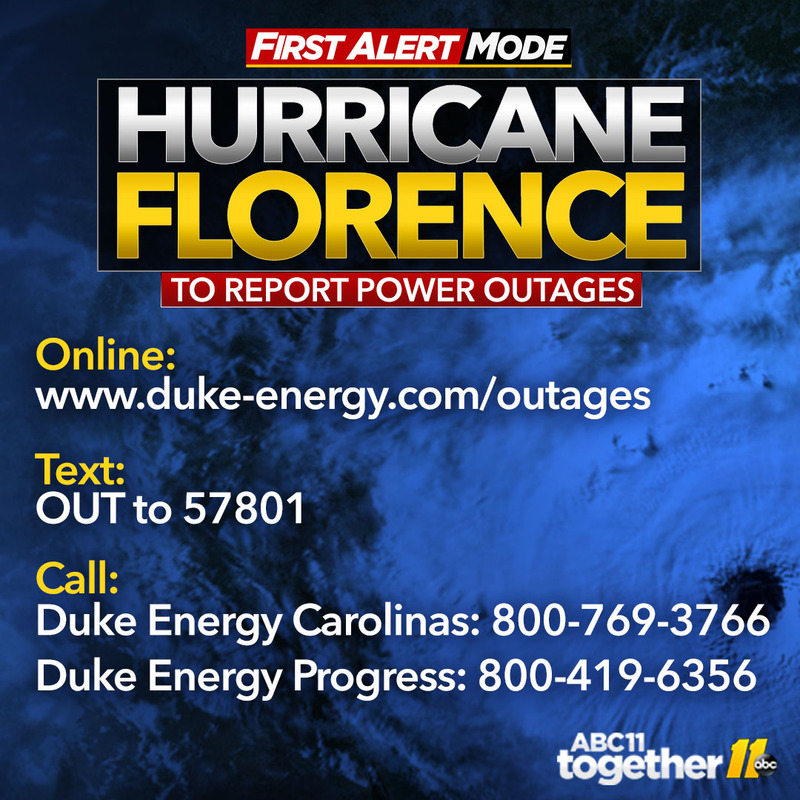 Most of the outages are in Beaufort, Bladen, Brunswick, Carteret, Columbus Craven, Duplin, New Hanover, Robeson, Sampson, Wake, Wayne, Pamlico, Pender and Onslow counties near the coast. Florence made landfall Friday morning in Wrightsville Beach.